The Amber Room, Mickey Finn’s banquet space, can accommodate seated groups of up to 185 people and up to 300 people standing cocktail-party style. 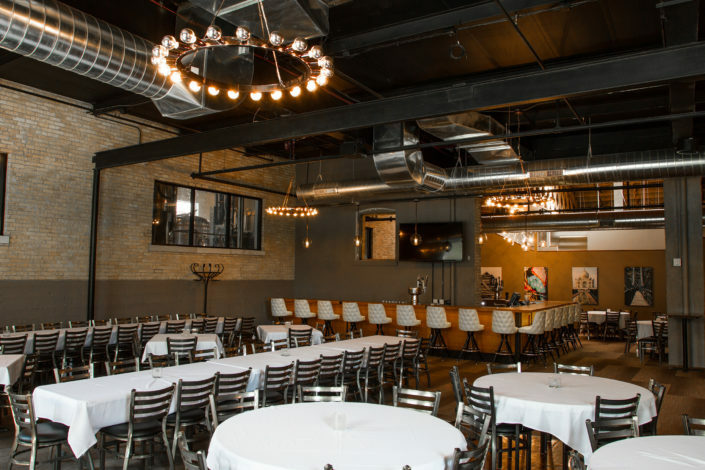 The Amber Room has an industrial/urban, yet cozy, atmosphere that can be dressed-up for more formal occasions such as weddings, rehearsal dinners, mitzvahs, memorial luncheons and anniversary parties. 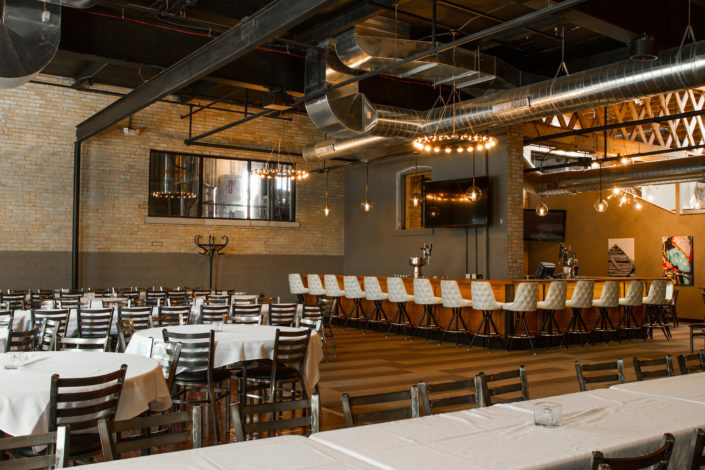 It can also be kept more casual for events such as birthdays, reunions, and after work corporate get togethers. We can also accommodate your daytime business meetings. 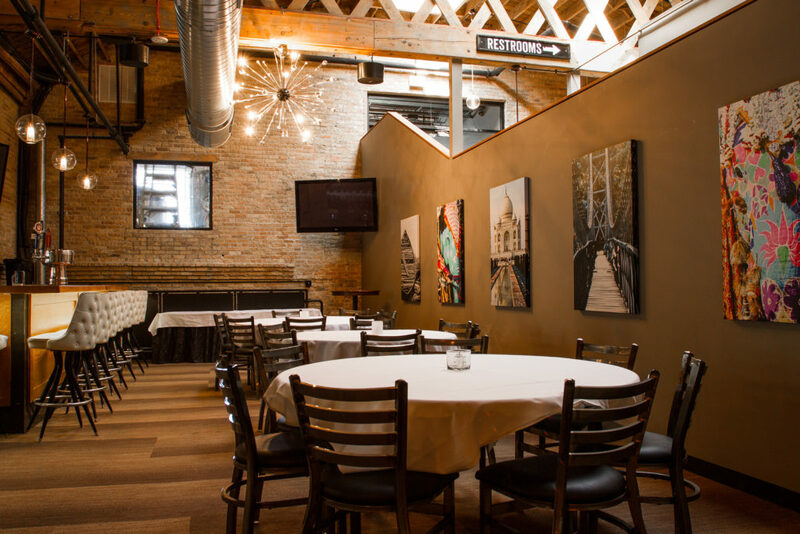 The Amber Room is available 7 days (and nights) a week for your private event. 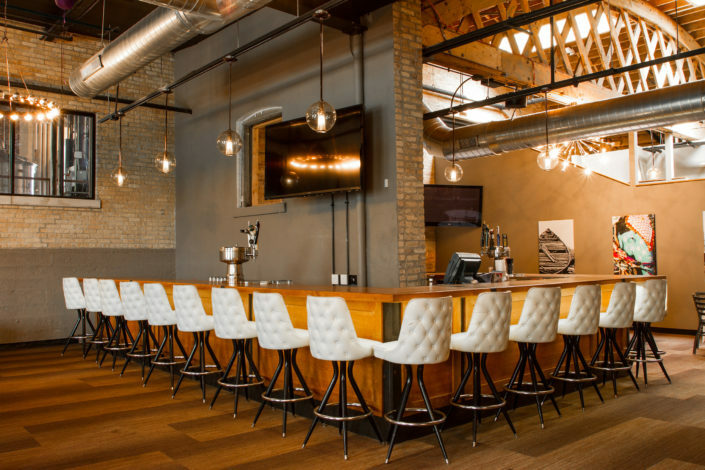 In addition to our full service bar, handcrafted, award-winning beer, experienced staff, and freshly prepared food; Mickey Finn’s offers other amenities, including: our complimentary microphone/PA system, projector and screen (laptop compatible – for those Powerpoint presentations and photo montages) and free, high-speed internet access can all help make your next meeting go smoothly! So, whatever the occasion, let us do the planning for you! Call Kristien for corporate and private events and Jetta for your weddings or receptions!